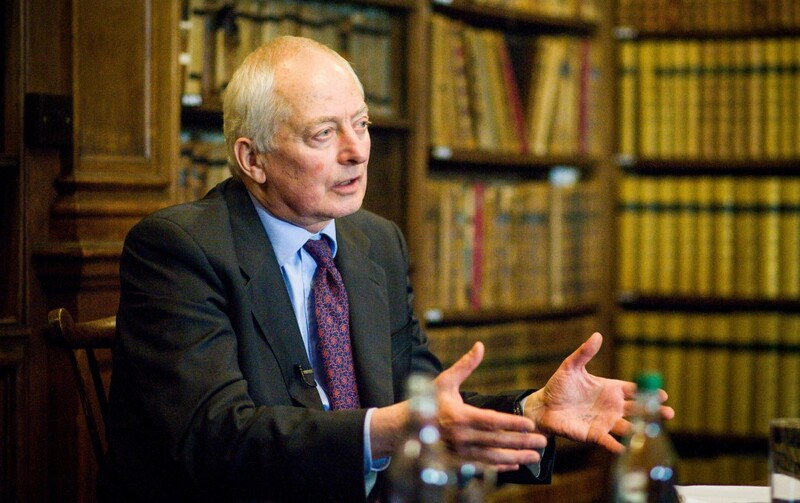 Photo by Roger Askew, courtesy of the Oxford Union. JDP: Your Serene Highness, thank you for meeting with us today. I’ve had the pleasure of visiting your beautiful country on a few occasions, and was positively charmed by the hiking around Triesenberg, and the food, and the wine. But quite beyond the landscape and the gastronomy, I’ve also long been an admirer of Liechtenstein’s political resilience. It stands against much that can only measure progress by larger scale and increased centralisation. So it is a true honour to be able to speak with the man who might be most responsible for the contemporary success of that political experiment in local rule. And to many it really does look like an experiment: the history of the last six or seven centuries clearly shows a long process of political consolidation and the absorption of principalities, small nations, and independent political communities by larger neighbouring states. Are small states really even still thinkable today as anything but curiosities to those of us living in larger ones? Or are we as capable as ever of taking the ‘Liechtenstein option’? 1. Globalisation has to an extent undermined the advantage of large-scale centralisation in economics. Globalisation demands some kind of global cooperation for various reasons. For small states in particular there must be a fair market governed by the rule of law, if they are to have a chance: global order allows small states to prosper. So there is an economic trend against large-state centralisation. 2. Global order and international law protect the independence of small states now much better than in the past. 3. Military technology has evolved in the past decades in a way that it has become much more costly for a big power to attack and to integrate a smaller power as long as this is well prepared and has the support of the local population. JDP: Regionalist and localist movements of various stripes are certainly finding a voice today that they don’t seem to have had a few decades ago. In your book The State in the Third Millennium (2009), you outline a vision for local self-determination and self-governance. It seems to make sense in certain places: your own country is of course one model, and in their own ways Luxembourg and Switzerland offer something similar. I could perhaps even see it working in the Netherlands, which has been my home for a decade now. But all things considered these are fairly small states. Could it work on if generalized on a massive scale? Could Europe go local? Or put differently, do little states have a place in Europe? HSH: Yes, I think of the dissolution of the colonial empires and the collapse of the Soviet Union. I was following these events closely, and was concerned that large state structures didn’t have the flexibility to handle reforms that could prevent serious conflicts down the road. So when we joined the United Nations I put forth an initiative on self-determination, it didn’t pass, but in my first speech to the U.N. General Assembly I called for a convention on self-determination. The principle of self-determination is an important element of the U.N. Charter, after all. For the same reason I established an institute at Princeton on self-determination [The Liechtenstein Institute on Self-Determination (LISD) – ed.] and wrote the book. But even if this is a trend, I know it’s one that’s going to take a long time. HSH Yes, of course, one can hope. And in the meantime I think we have to find a peaceful way to get there. JDP: You’ve commented on the polis in the Aristotelian tradition of local political life as the natural and best place for man’s affections and attention. One reason that in ancient Athens direct democracy for the many, hoi polloi, did not seem possible was the hugely disparate levels of education across the social strata. Today, in the West, there are no uneducated masses that Aristotle would recognize. And so for us it’s instead when the reigns of power are not in the hands of the general populace that it’s unthinkable. This, of course, comes after the peculiar development of the West, with its Classical and Christian heritage, and a now-venerable tradition of universal education, in which a certain Menschenbild, a philosophical anthropology emphasizing the rights and responsibilities of the individual person over and against the prerogatives of the community, comes to the fore. To what extent is your vision of local rule dependent on this historical trajectory and the anthropology that has come with it? Does it make sense in areas that haven’t followed it – say, in parts of Africa, or Asia? HSH: It has been an advantage to have inherited the cultural legacies that we have. But I hope this political model is practical elsewhere. I’ve travelled in parts of Africa and Asia. There is a degree of local governance: a village chief, with often complicated tribal structures, councils of elders, and so on. I think it is an advantage if you build a democracy and the rule of law not only top down, but also bottom up and to integrate local customs and structures as much as possible. JDP: Tocqueville was concerned with the reception and transmission of liberty in society – that is, with how a people that has not been free learns how to live in freedom. Let’s apply this to decentralisation. Can the habits of life in a centralized state be ‘unlearned’ by formal education, by schooling? Or is praxis a better school of local liberty? Or – have I given you a false dichotomy? HSH: I think you need both. Civic education needs to be part of school. I remember one very good teacher back when we were seven or eight years old emphasizing the importance of liberty. But it remains just a word if it is not practiced. Where there is no tradition, one has first to build up democracy at the local level in the villages, the cities, the regions and only then at the state level. JDP: When you say ‘from the bottom up’, what do you mean exactly in terms of the practice of local liberty? HSH: Starting from a non-democratic state, I would say the first step would be to encourage local participation by giving responsibility to village-level authorities and civic associations, and supporting their creation where they don’t already exist. The experience of local democracy is very important, so some sort of elections – be it for a village council, parliament, chief, or whatever it might be – should be held. This gives people a feeling for how the process works. Ideally this increases both personal and communal responsibility, especially when they see that decisions taken by themselves or by their delegates have consequences – and of these, the costly consequences are often particularly instructive! JDP: In The State in the Third Millennium you propose a draft of a constitution, ready-made for adoption by a would-be self-determining state. To your knowledge has anyone tried it out yet? HSH: No, nowhere so far. JDP: What country would you hope would try it out? Which country is most ready for it? HSH: (Laughs) I’ve no idea, but we have more or less realized this model in Liechtenstein. JDP: Your Serene Highness, we thank you for giving us your time and your insights today. *Thanks to Alvino-Mario Fantini for help in preparing the interview, and to Stuart Webber, President of the Oxford Union, for permission to conduct the interview on the Union’s premises.